Prepare your credit report Look over your credit report, being careful to notice any errors. Errors on your credit report can sometimes take months to correct and if you have a timeline for buying a home in Park City, you’ll want to start as soon as possible. Lenders will use your credit score and report to determine the mortgage rates you qualify for as well as if you will qualify for a loan at all. Meeting with a lender once your report and score has been cleaned up can make a world of difference in which mortgage you can land. 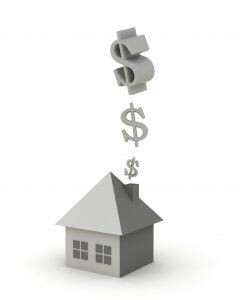 Prepare your down payment If you’re planning to buy a home in Kamas, Heber City, Park City, Midway, Francis and Oakley, you should also be planning a down payment. The larger the down payment, the lower your mortgage payment will be. Homebuyers should plan for the biggest down payment in order to qualify for larger loans, smaller interest rates and lower closing costs. 20 percent is a great goal as anything lower may require you to purchase mortgage insurance. Shop around for lenders The best way to find a mortgage lender in the area is to ask your real estate agent! Agents almost always have recommendations of lenders they’ve worked with before and one that might be helpful for your situation. Finding the right lender can make your mortgage process both seamless and stress-free. You can also do research yourself, gathering the details on Park City area lenders, then meet with them to determine who you feel most comfortable with. There is a lot to think about when buying a home in the Park City area, including finding a mortgage with the best terms and rates. Contact me today for recommendations on financing your Utah home as well as available properties in Kamas, Heber City, Oakley, Francis and Midway!